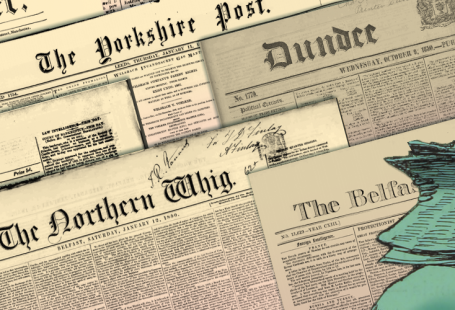 Historical newspapers are full of reports about local criminal trials. These are a great resource for both historical research and genealogy. Not only can you track the sorts of crimes that were being committed and how people were punished, you might also find your ancestors’ names mentioned. Court reports can often make for rather amusing reading, containing the actual words, excuses, and explanations of the people involved. We’ve found one very entertaining story in the Morning Post, published in London in 1841. It seems the presiding magistrate, Sir Peter Laurie, did not approve of the defendant’s hairstyle. 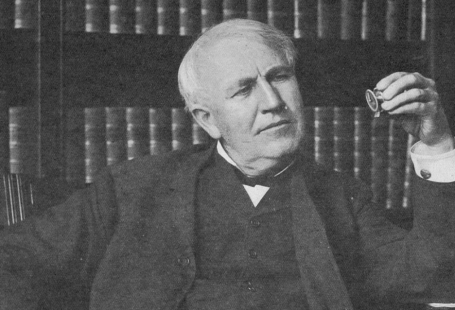 Laurie commented that ‘nothing could make a man look more contemptible than this womanish fashion of letting the hair grow till it reached the shoulders’. The Morning Post reported that Joseph Jones had ‘a profusion of hair, combed down in long straight locks’. 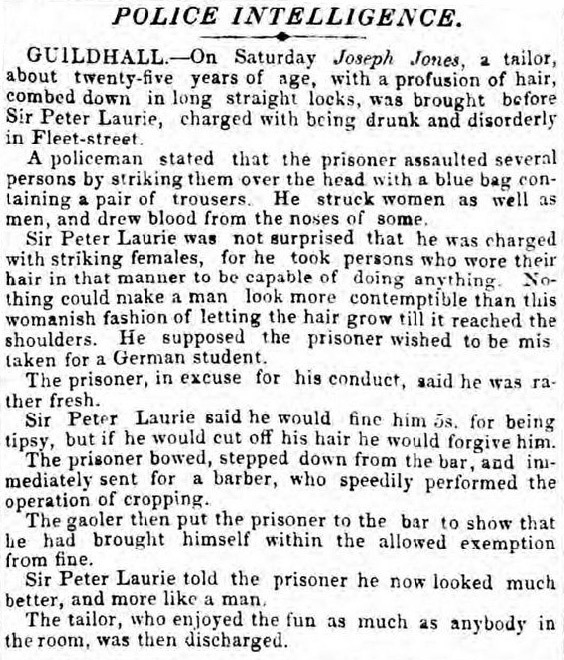 He was sentenced to a fine of five shillings for his drunken behaviour, or he could cut off his hair and be forgiven. Jones unsurprisingly picked the second option and a barber was called. In his closing speech, Sir Peter Laurie concluded that the prisoner ‘now looked much better, and more like a man’.